Television has grown rapidly since the first broadcasts in 1950, throughout Brazil. It has become as one of the largest and most productive commercial television systems throughout the world. Rede Globo (its biggest network) is the 2nd largest commercial network around the world. It is also one of the largest television exporters throughout the world, specifically of telenovelas which has triggered interest of many people in numerous countries. Rede Globo (Gobo Network) is a television network in Brazil, started by media mogul Roberto Marinho on 26 Apr, 1965. Media conglomerate “Organizações Globo” owns the Globo network which is the 2nd largest commercial TV network throughout the world in terms of annual revenue after the American ABC Television Network. The Globo Network is headquartered in the Jardim Botânico where it is having its news division. The main production studios for Globo network are situated at Projac, located in Jacarepaguá, Barra da Tijuca. It consists of 122 owned and affiliate television stations around Brazil along with its own international networks, TV Globo Portugal and Globo TV International. Globo network was taken from analog operations to high definite television production for digital broadcasting in the year 2007. TV Brasil is a non-profit public broadcasting television network in Brazil that began on 2 Dec, 2007. 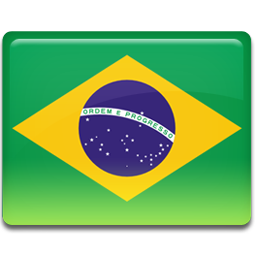 TV Brasil is the first public broadcasting channel that is launched by the federal government. TV Brasil has a reach of over 30 municipalities around all the regions of Brazil, among affiliated and self owned stations. Its availability is restricted to cable television and satellite on the remaining parts of the country. Its live streaming TV online can also be viewed on the official website of the network.